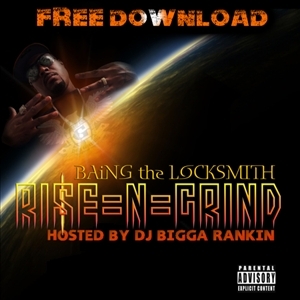 BAiNG THE LOCKSMITH is exactly what is needed in hip hop music today: ....A HERO..... While some may find it disappointing that the images of felons and thugs have been glorified by the rap genre, what might be even more of a let down to consumers is that the majority of the artists claiming those same images are not authentic. And to make matters even worse, rappers that do come out with positivity are, for the most part, looked down upon for not having "street credibility".At the young ripe age of 14, he was arrested for robbery, and sentenced as an adult to State Prison for what would be a 12 year term.He began to write music, and a couple of years later, he seized an opportunity to showcase his talent by participating in the Henry Prison Talent Shows, which he would go on to win four out of five. After defeating the reigning champs, and being decisively victorious thereafter, his popularity grew continuously.He was released on May 1, 2006(12 hours to his Mother's HAPPY OG DAY) pursuing his dreams ever since then! Knowledge and freedom is priceless,I feel like Im the most blessed man alive !!! !